ABSOLUTE AUCTION. NO MINIMUM, NO RESERVE. MAIZE SCHOOLS. Saturday, May 18th @ 9:00am. Held On Site. 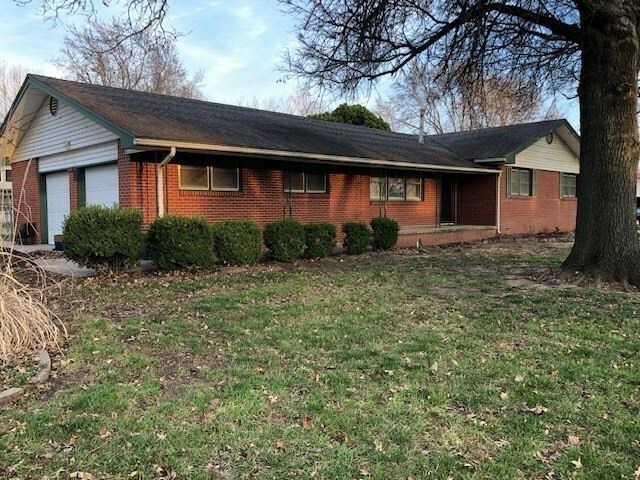 This is an all brick ranch home with a side load 2 car garage just one block from the elementary school and very close to Maize Middle School and High School. The main floor includes 3 bedrooms, 2 baths, living room with wood burning fireplace, kitchen with dining area and walk in pantry, laundry room and screened in porch. The basement has a family room with the 2nd wood burning fireplace, a spacious rec room, bathroom, 2 non-conforming bedrooms with closets as well as a large storage room. There is a also a well and sprinkler system to keep the grass green and costs down. There is a 10% buyers premium on this sale.